Create your ever after stress-free with our wedding resources! 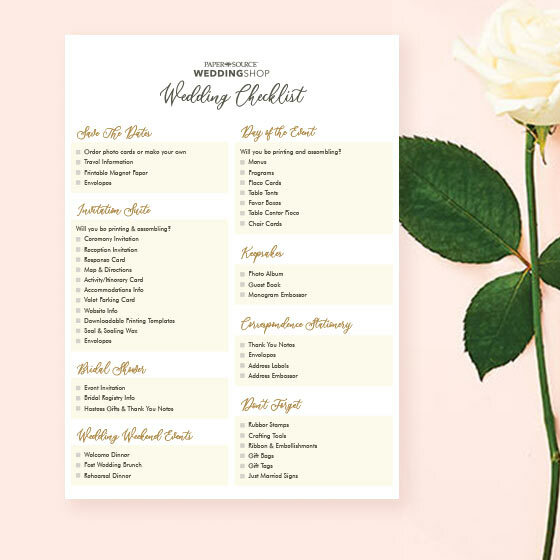 Countdown to the wedding date and check off tasks with our Wedding Checklist and ensure you're prepared with print goods with our Wedding Essentials Guide. Select wedding invitations including response cards, envelopes, etc. Will you be printing & assembling? Will you be printing and assembling?